Pull Out Pantry is a must Accessory for kitchen organization. 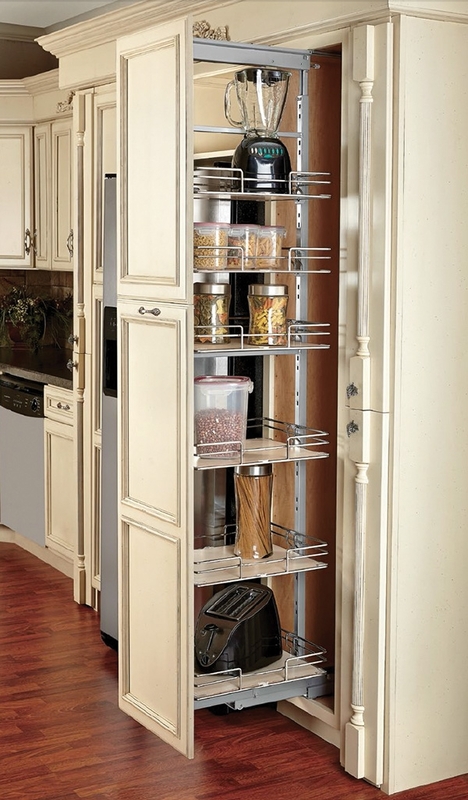 The pantry pull out can maximize your kitchen storage space. With this wood bottom tray, smooth gliding tall pull out system, you can ensure have the full and easy access of all your pantry items. Adjustable supporting mechanism will allow easy and flexible new or old cabinet installation. Wood bottom storage shelves with adjustable mount and option to add additional shelf if needed. High quality German manufacture slide allow smooth handle for long lasting use. Door Mount bracket provide easy one step easy access for practical life style.